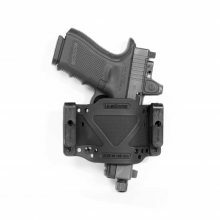 The CrossTech Holster is a customizable holster that can be adapted to fit nearly any compact handgun (it also fits some full-size). It is designed to be ambidextrous, OWB & IWB. Thanks to its special design, is flexible and extremely comfortable to wear for long periods of time. Concealability: The CrossTech Compact Holster is one of the thinnest holsters on the market and keeps handguns extremely close to the wearer’s body, decreasing the profile of the pistol. 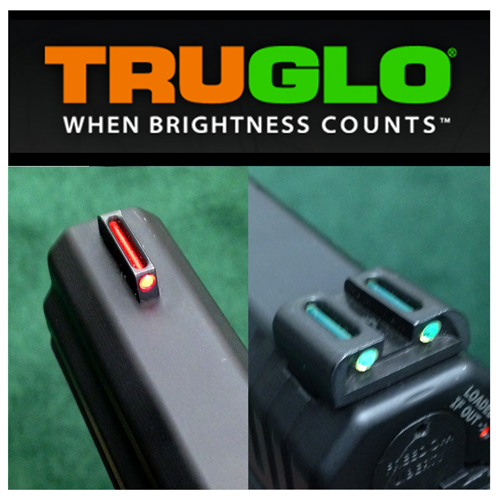 This is crucial for concealing while wearing a t-shirt or other thin or lightweight apparel. I fired my new FMK yesterday at an indoor range here in Springdale. Really performed way beyond my expectations. Did much better with it than with any of my other 9mm. Receive latest product updates and special offers from FMK. I have the 9C1 G2, and have pushed about 900 rounds through it. Very happy with it. Actually, I was bragging it up with the salesman at Cabela’s on Sunday. Just looking to add to my collection. I will “stay tuned” for the new announcement after the next show in January. By the way, that Freedom Fighter Package is awesome! Just wanted to let you know that I love the fill and look of this GUN, I have not shot for years. It fill great in my hands and looks great. I have shot about 400 rounds and have had absolutely no problems. Thanks for producing such a good product at a prices that doesn’t BREAK people’s wallet and allows the commoner to still be able to eat. Got one of your awesome, smooth shooting, patriotic, etc guns for my wife. I own a sig 1911, glock 27, ruger 1911, m&p, etc, but I tend to bring the fmk everywhere with me. Thanks and God bless! I am the son of a Filipino immigrant and an American veteran. My father proudly served his Navy as did his father, the latter being awarded four bronze stars in the Pacific Theater of World War II among other medals and conflicts. My mother came to this country because of it’s promise of freedom and equality, going from helping to build the school she taught in out of bamboo and palm leaves to being a trilingual American public school teacher. I’m proud of my country. I was raised to believe “anumang bagay ay posible sa Amerika”…anything is possible in America. Your company embodies that American spirit, which is exactly the reason why I don’t want to settle for less than your handgun for my concealed carry weapon. Thank you for what you folks do for our nation and keeping our heritage strong. Damn Nice Gun. Had a friend of mine email me a picture of one with the Bill of Rights, and decided I had to have it. Feels Better than my Glock 17, and it looks better too. Thank you for Manufacturing such an awesome gun and keeping the price at a level that anyone could afford. Currently Own a Sig Sauer P229, Glock 17, Hi-Point CF380 and a Heritage Arms 22 revolver. The FMK is my new favorite. I have FMK 9mm and have run 600 rounds through the pistol and it preformed great. I would recommend this great product to any one. I wanted to say I really appreciate what you all are doing. I hope in the future you continue to produce more and different types of fire arms. The best ammo for target was the Blaser but when it came to PC the Remington was the best in accuracy, also the more I shoot the better the trigger felt no kick no recoil this is going to be my carry from now on where ever I go. I’m thinking about buying another one next month, the drop free magazines and the sights are awesome thank for this making this pistol so great. I’m putting my Glocks for sale… from now on it’s FMK. Again thank you for this great pistol; job well done. I’m in the military and told my other Soldiers to check this pistol out and to buy one. This Firearm is AMAZING. I purchased this as a duty pistol for more work in private security and tried it for the first time today in order to be ready for qualifications next week.Out of the box this Weapon is one of the smoothest, easiest handguns I have ever owned or operated, and I plan on purchasing at least 2 more before the end of the year for use by my wife and as secondary house guns. Thank you for an absolutely amazing, quality, American made Firearm. My first gun was an FMK 9mm and just wanna say I love it more than anything, I have to give thx to the men and women who work hard to offer this awesome firearm to the public. I am now a firm firearm patron and want to say y’all have a respectable product. Wouldn’t know what to do with out my FMK! The FMK 9C1 G2 fires very well since I’ve used it, and it has worked even after 500 + shots later with ammo ranging from 115 gr – 147 gr. The included synthetic oil and Glock-like 2 dot sight works well. The recoil is subtle, the pistol fits and feels comfortable in my hand (I have medium sized hands) especially with the rubber pad on the back of the pistol grip, and it fires accurately. At about 15 feet away, I had group shots from 1 – 3 MOA. The DAO trigger pull is decent, but I’m ready for the FAT trigger from for a shorter pull. But its all around a great handgun from a manufacturer with a passion of embracing American patriotism as discussed all in its manual. The Bill of Rights engravings, along with all the other American engravings make this gun looks incredible and a piece of history! Its price is a plus, especially for a first-time buyer! Thank you FMK, keep it up! Thank you for making such an awesome handgun. I am very proud to be an owner of this patriotic series, pro second amendment pistol. I was originally interested in a Glock 19, went to the range to test fire one. While I was there the salesman showed me your pistol, I had not heard of your brand before but liked the fact that they are made 100% in the US and in CA of all places. The similarities to the Glock 19 and the price attracted me to it, after reading many reviews and seeing the improvements put into the G2 I knew it was a good choice for my first pistol. FMK Firearms © 2016. All Rights Reserved.